Oh don’t worry, I will not bore you with my views. However, I am what some would call a political junkie. I find politics fascinating. I think it’s important to pay attention. But they can also teach us a really good sales lessons. What I noticed (and who doesn’t) is politicians always “stay on message”..well let’s say mostly. They control how we think about them and exactly how to think about their opponents. So how does that apply to sales? We control what the designer thinks about what we sell. When we focus on product, tell the story and don’t match the product to the project we are not controlling the message. The designer has to form his or her own message. And that may kill your sales. There is so much product out there, the designer has to put a frame around what you are selling if you are not matching the product to the project. M support that by showing product that does not fit the client needs, at that moment. So human nature is to remember what stands out in the designers’ mind and it often times is erroneous or not the complete picture of what your line(s) offer. The client has to “lock in” what they think about when they think of what you sell. It’s expensive, it’s only textures, they have no textures, it’s bright colors, I can only use it for (fill in the blank) when I need a (fill in the blank) I think of that company. We all do it! Sound familiar? It does to me because when I ask a client what they think about a certain line, most often it’s only a small part of what the line offers and what the designer can use. When we think of Apple, what’s the first thing that comes to your mind? Chances are whatever it is unless we put more thought into it, they offer much more than what we are first thinking. But who has time to think more? An example of this (closer to home) is when I was at a design firm training a salesperson. When we looked at their sampling, I noticed they only had textures for this company. I knew the company offered much more than textures. When I asked what she thought of when she thought about what this company she promptly answered (without even batting an eyelash) “Oh I go to them when I need textures, that’s what they do”. I proceeded to ask if she used other types of fabrics like drapery or prints. She said, “Oh yes, but I go to (fill in the blank) for those types of fabrics. See how that works? That’s what kills opportunities and when you lose a sale. Easy… the best way to overcome this is pulling NOT pushing. 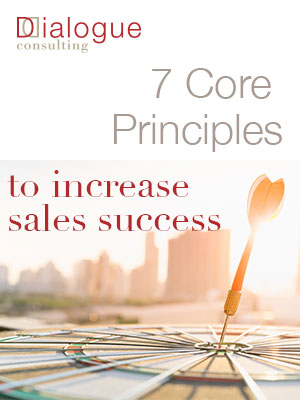 It’s number 3 in my 7 Core Principles for Optimized Sales which I teach in my ecourse. Designers only remember what they want or must know. We all do. When they’re barraged with product they don’t currently need, they file away what they think of most often for that particular line. If you are showing product without asking questions, you’re pushing. Pushing product is not managing the message. 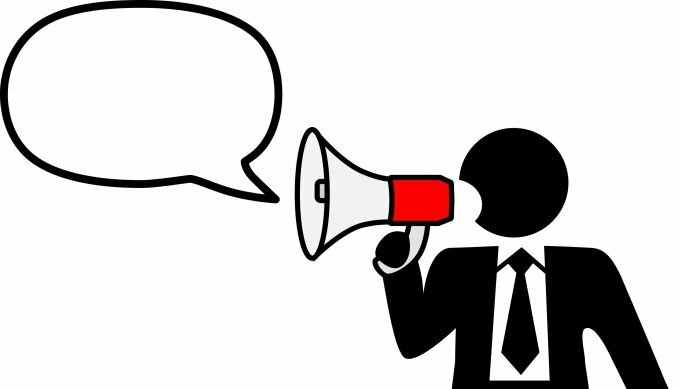 Asking questions, uncovering current needs and being the solution is managing the message. Next time they think about you, they think problem solver, not a product pusher. Another example is a sales person, during one of the classes on the webinar, noticed that a client who places many purchase orders, only orders fabrics for pillows. She thought she was an “A” account since she was in the showroom a lot and placed lots of orders. But never used anything else from this multi-line showroom. She wanted to know how to increase her sales with this client. When I asked her why she thought the client only thought of them for pillow fabric, she wasn’t sure except maybe the client thought of the showroom as high-end and her clients could not afford any other product. I said this was an easy fix. ASK WHAT ELSE? What else do you need on this project? Do you need furniture? Draperies? Hardware? Give him or her another message. Re-frame as you suggest other product. You have more to offer than what she currently thinks about for your showroom. She may be thinking “expensive – pillow fabric only” when you may (and probably have) SO much more to offer that doesn’t even enter her mind right now. Make her job easier and you get more sales! She’ll run down to the next showroom for what she thinks of that showroom for. So why not keep her in your showrooms. What could be more win-win? You control the sale. As you do this, you leave less to chance. Remember that you control the message, just like a politician. You control what gets on those projects if you ASK. Deborah Flate is a change agent for product companies and showrooms that sell to interior designers. She helps companies increase sales by using her SEVEN CORE PRINCIPLES OF OPTIMIZED SELLING. With more than 30 years experience as a salesperson, manager , and trainer, she t sales teams to maximize the time and effort in front of the client and to be client focused, not product focus.